Minnie Tsai represents clients in a wide variety of immigration matters, with a particular focus on investor and employment-based matters including E-2, H-1B, L-1, National Interest Waivers, and Exceptional and Extraordinary Ability petitions. Ms. Tsai also has significant experience advising clients in family-based cases as well as DACA, waivers of inadmissibility, citizenship and other matters. Born in Taiwan, Ms. Tsai moved to Texas with her family as a young child. Over the years, Ms. Tsai’s family transitioned from one non-immigrant status to another multiple times, and it was not until she was an adult did she complete the immigrant process and attain citizenship. Her personal travails and successes as an immigrant are what ultimately led her to The University of Texas School of Law and her long-held passion for immigration law and policy. Having experienced the immigration maze personally, Ms. Tsai understands the difficulties and frustrations inherent in both the non-immigrant and the immigrant processes, and she strives to help clients navigate through the process as efficiently and painlessly as possible. Prior to joining Quan Law Group, Ms. Tsai was an attorney with an immigration-focused law firm and a law clerk with the Law Office of Harry Gee, Jr. & Associates, working on immigrant and non-immigrant waivers, litigation cases and a wide range of other immigration, employment and civil litigation matters. 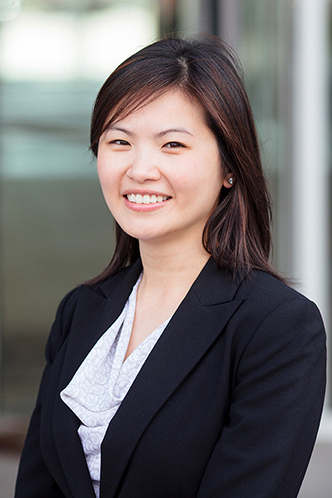 During law school, Ms. Tsai worked as a Student Attorney at The University of Texas School of Law Domestic Violence Clinic and also as a Law Clerk with the Texas Civil Rights Project and the Capital Area Legal AIDS Project. Ms. Tsai is a member of the Immigration and Nationality Law Section and the Asian-Pacific Interest Section of the State Bar of Texas as well as the American Immigration Lawyers Association (AILA), and she is active in the Houston Asian American Bar Association.